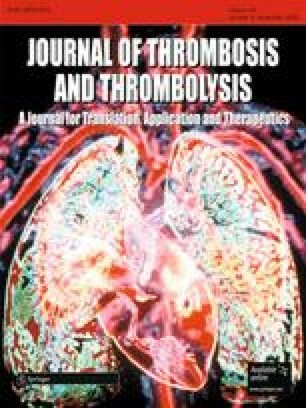 While there have been advances in prophylaxis and management of venous thromboembolism (VTE), there are a dearth of data from the perspective of a community-wide study, on the epidemiology, management, and outcomes of patients with a first episode of deep vein thrombosis (DVT) or pulmonary embolism (PE). The purpose of this population-based observational study was to describe trends in the incidence rates, clinical profile, management, and outcomes for patients with VTE. The medical records of Worcester (MA) metropolitan area residents with ICD-9 codes consistent with possible VTE during 1999, 2001, and 2003 were independently validated and reviewed by trained abstractors. A total of 1,567 persons with first-time VTE were identified. Incidence rates (per 100,000) of VTE were stable between 1999 (109) and 2003 (117). A considerable proportion of patients treated for VTE had events of unclear clinical significance (e.g., isolated calf DVT, unconfirmed “possible” PE). By 2003, low-molecular-weight heparin was increasingly utilized as acute therapy and more than 25% of patients with VTE were managed as outpatients. Cumulative rates of recurrent VTE and major bleeding following initial VTE were high (~16% and 12%, respectively, mean follow-up 1,216 days) and did not change significantly between 1999 and 2003. Our data suggest that while the incidence rates of VTE remain high, and outcomes suboptimal, there have been marked changes in its management. Whether these changes will result in future declines in VTE incidence and/or improved outcomes in the community setting will require further surveillance. This study was made possible by the cooperation of administrators, physicians, and medical records personnel in 12 central Massachusetts hospitals.